Throughout the years, cars have been a mainstay in the cinemas and blockbusters that have graced the big screen as well as popular TV series. Some cars became so iconic that to see them was to evoke the memory of the movie or show that they were from. Some have even become synonymous with the movies themselves. That being said, see if you can recognize these iconic cars. In no particular order, here we go, down memory lane and for some nostalgic moments! 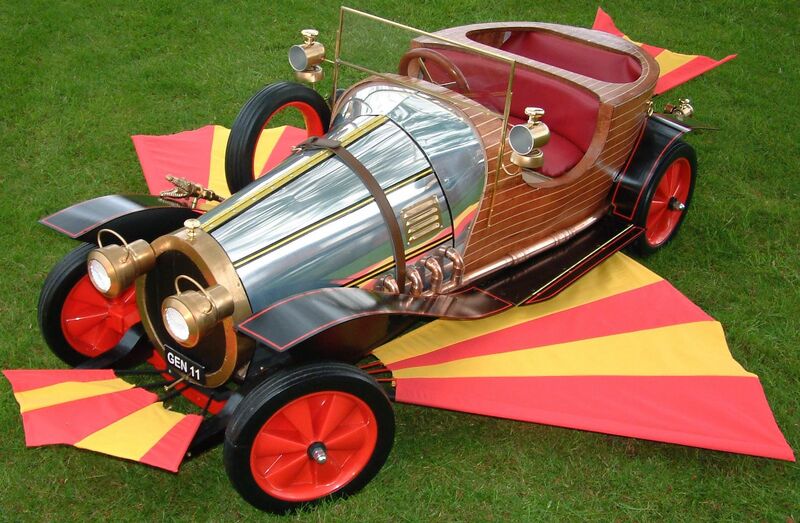 Chitty Chitty Bang Bang was a musical film and theatrical production featuring the iconic car of the same name. Based on a 1910 European Grand Prix Racer, Ian Fleming (the original book author) took inspiration from a series of cars from that era christened Chitty Bang Bang – the original name coming from the sound the engine made when the car was started. The original car’s engine came from a Zeppelin dirigible. Before Daniel Craig and even Pierce Brosnan, Roger Moore took on the role of Ian Fleming’s classic suave spy, James Bond, in the 1977 film “The Spy Who Loved Me”. 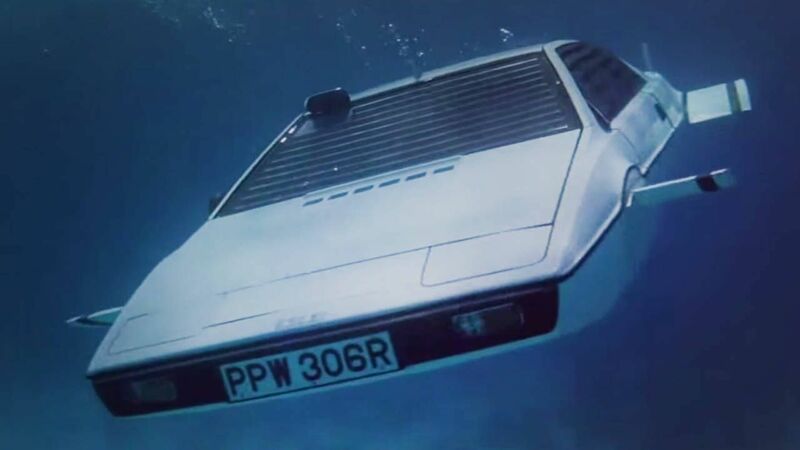 That particular movie featured Roger Moore driving the 1977 Lotus Esprit – possibly one of Bond’s most memorable vehicles because it could transform into a submarine at the push of a button. Ah, one of the classics. In 1985, the action science-fiction movie “Back to the Future” was released. Marty McFly is sent back in time to 1955 where he accidentally becomes his mother’s love interest and he and his scientist friend, Doc Brown, have to figure out how to undo the damage Marty has caused to the timeline. In the movie, their time machine was a modified 1981 DeLorean DMC-12 which has since become an irreplaceable icon of the series. David Hasselhoff plays Michael Knight, a modern crime fighter in the 1982 Knight Rider series. In the series, his partner in busting crime was the Knight Industries Two Thousand or KITT for short, a self-aware, artificial intelligence installed in a highly advanced and very heavily armed automobile. In the original series, this was the 1982 Pontiac Trans Am. For the record, KITT’s armaments included an outer shell impervious to most conventional firearms and explosives, flame throwers, magnesium charges, lasers, a jammer, and many others. 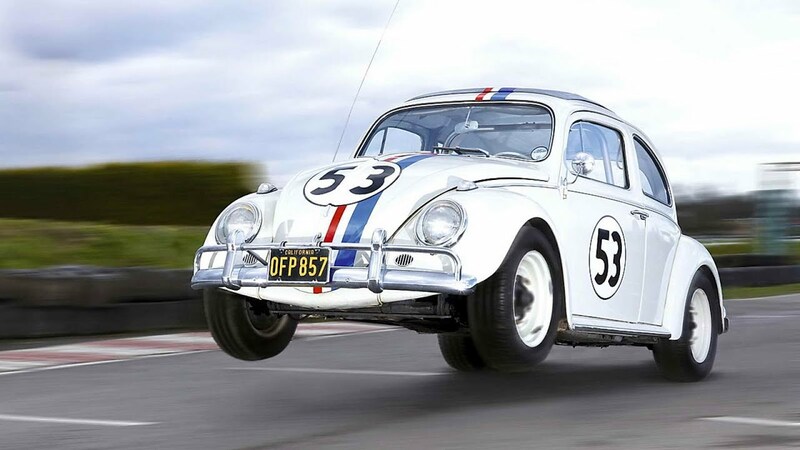 This iconic racing 1963 Volkswagen Beetle known as Herbie, the Love Bug, appeared in Disney’s 1968 comedy film. Herbie was an anthropomorphic (i.e. Suggesting human characteristics for animals or inanimate things) sentient racing car that is capable of driving himself and being able to achieve surprising speeds for such a small car. In a sequel in 2005, we see Lindsay Lohan take Herbie’s wheel and feature with him. Who could forget Mr. Bean in his lime-green car that became such a part of the series that several episodes were built around it? A 1976 British Leyland Mark 3 Mini 1000, you might have fond memories of Rowan Atkinson’s silly antics with it such as locking the car with a bolt and padlock, and even felt his (virtual) pain when it gets crushed by a tank in one episode. Recognized all of these cars? Or perhaps none at all? Time for some old movie marathon perhaps!